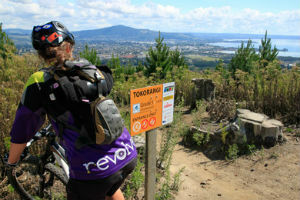 During spring, the weather in Rotorua can be a bit changeable, so make sure you take advantage of the days when the weather is good and enjoy the outdoor activities like fishing, biking and hiking. On rainy days, there’s no need to stay in, we have you covered with top class cultural shows, relaxing hot pools and boutique shopping experiences. 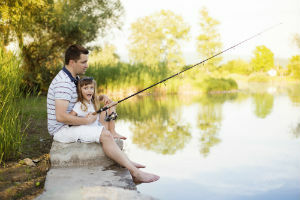 Here are a few Springtime activities you might enjoy -hope they put a spring in your step! The cool evening Spring temperatures are perfect for a relaxing soak at the Polynesian Spa. The hot mineral waters are said to reduce aches and pains, lessen the effects of arthritis and condition the skin. They overlook Lake Rotorua’s Sulphur Bay and enter the pools through natural underground springs. Their central location makes for a convenient addition to any itinerary. 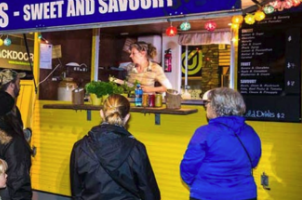 The Rotorua Night Market is a must do on a spring evening in Rotorua! This eclectic market is attended by locals and visitors because of its family-friendly atmosphere, the great food, the music and the boutique stalls. 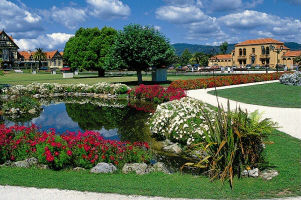 Make the most of spring in Rotorua by checking out their famously well-kept gardens, vibrant colours, and creative public plantings. Kuirau Park has fresh new daffodils blooming alongside bubbling mud pools and a public thermal footbath. For more fresh blooms, take an afternoon to wander through the Government Gardens, and you may get to see the annual Rotorua Tulip Festival and the Rotorua Museum. Tour the district on wheels! No matter the pace, take in the spring colours and views Rotorua has to offer this time of year. They have a number of biking trails in the region for all skills and abilities and even trails to suit kids! If you want to know more about the Rotorua region, whatever the season, then do get in touch with us at Asure Palm Court Rotorua! 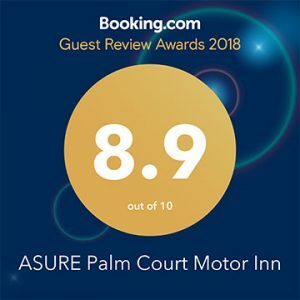 We are always happy to share our local knowledge and recommendations for you to have an amazing visit to our very beautiful and unique holiday destination.